Fainting, which is also sometimes referred to as syncope, can occur whenever there is a sudden loss of blood flow to the brain, which can then result in unconsciousness. Typically, those who faint often wake up rather quickly after they collapse. Managing something like this is generally simple and requires nothing more than allowing the victim to lie down on a flat surface for a period of time in order to recover. However, it’s also important to know how to effectively treat something like this. The only real way to identify what causes someone to faint is to first look at all of their chronic medical issues, as well as any recent illnesses or activities, if they even have any. Fainting, which is also sometimes referred to as syncope, can occur whenever there is a sudden loss of blood flow to the brain, which can then result in unconsciousness. Blood pressure can be lowered if you don’t have enough water in your bloodstream. Furthermore, stimulation of the vagus nerve whenever the body’s system is already a quart too low can cause an individual to become dizzy and faint. Many different issues can lead to someone becoming dehydrated, such as diarrhea, vomiting, and heat exhaustion. The vagus nerve can also be stimulated thanks in large part to issues such as stress, anxiety, and various panic disorders, including those who tend to pass out at the mere sight of blood. Not every loss of consciousness is related to the body’s vagus nerve. Shock is typically characterized by a low amount of blood pressure, which can result in someone losing consciousness. While we generally know about the consequences of high blood pressure, low blood pressure is seen as being a great deal more dangerous. In terms of shock, this can generally come about through a loss of blood; however, it can also make itself known through severe infections or severe allergy issues. Those who suffer from this typically become confused and, as their condition worsens, they lose consciousness. Shock is something that can take place rather quickly, and even though it doesn’t necessarily qualify as fainting, we can’t really tell unless the victim wakes up. On its own, fainting is not considered to be life-threatening. On the other hand, a sudden cardiac arrest issue is very similar to fainting, and this is something that requires immediate treatment. If someone faints, you will need to first make sure that they are still breathing. If they aren’t, call 911 immediately and begin performing CPR. When someone faints, you will also need to lay them down flat in a comfortable position. Elevate their legs in order to help keep blood flowing and ensure that it gets to the brain; however, many experts say that this typically is not necessary, and there is also some doubt regarding whether or not this actually works. After this, the actual treatment depends on what actually caused the individual to faint to begin with. If you are unsure what caused the issue or if this is the first time they’ve fainted, contact 911 right away. 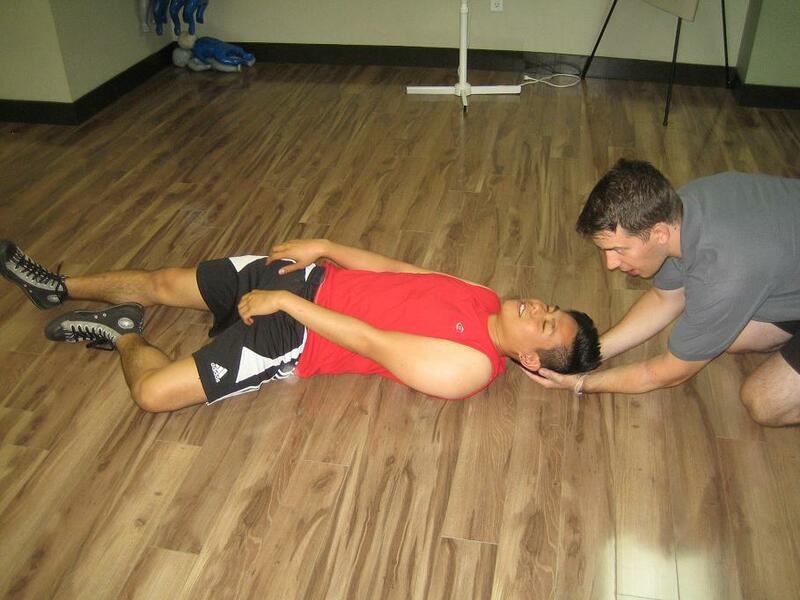 Oftentimes, fainting can be caused by dangerous conditions that should be evaluated by a medical professional. Oftentimes, there isn’t really anything that you can do to prevent anyone from fainting; however, if you suspect that something like this may happen, there are some precautions that you can take. For instance, if you begin to feel flushed or nauseated in any way, lay down until the feeling passes rather than standing up.